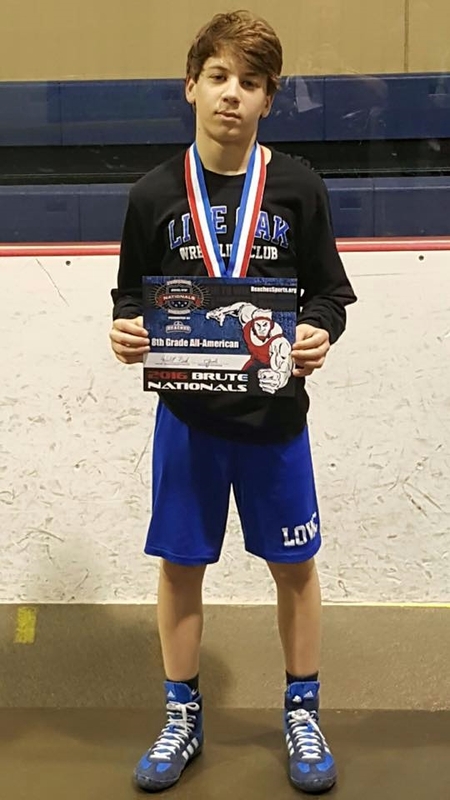 Forty-one Louisiana wrestlers, ranging in age from first-graders to eighth-graders, competed today in the Brute Nationals Folkstyle Championships in Independence, Missouri. 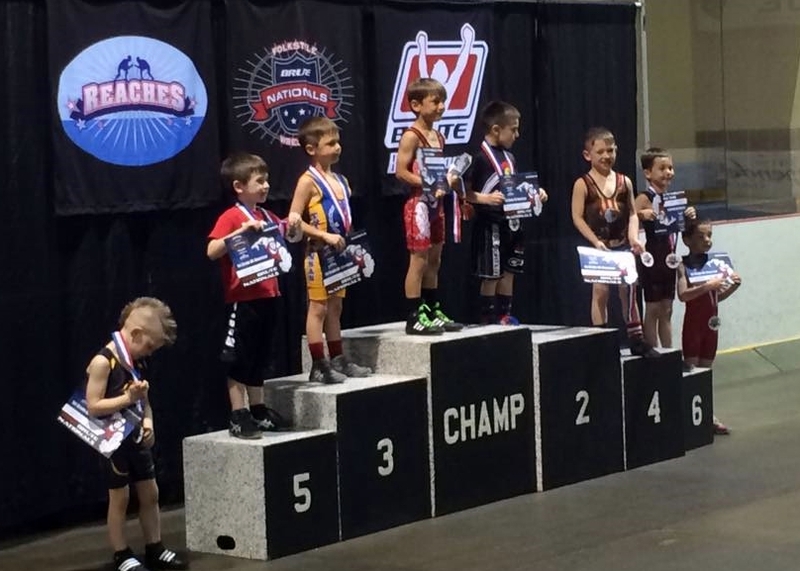 Four came home as national champions. Twenty-six more came home as All-Americans. Eleven others came back better wrestlers than they were when they got there. Choosing a cover photo was very difficult between this young man and Trent Mahoney, but the one that, in the editor's days would not have cost a team point, won out. 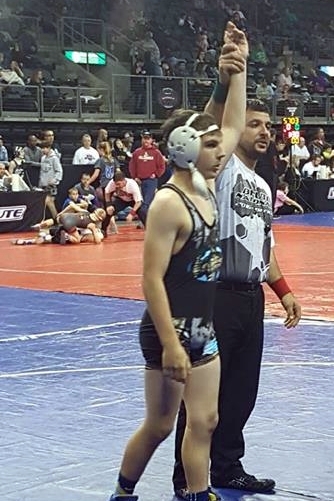 Left is first-grader Zane Blanchard who, after a first-round bye, scored a 10-1 major decision in the quarterfinals, a 7-1 semifinals win and followed that with a 14-0 shutout to win top honors in the 1st-grade 43 lbs. weight class. 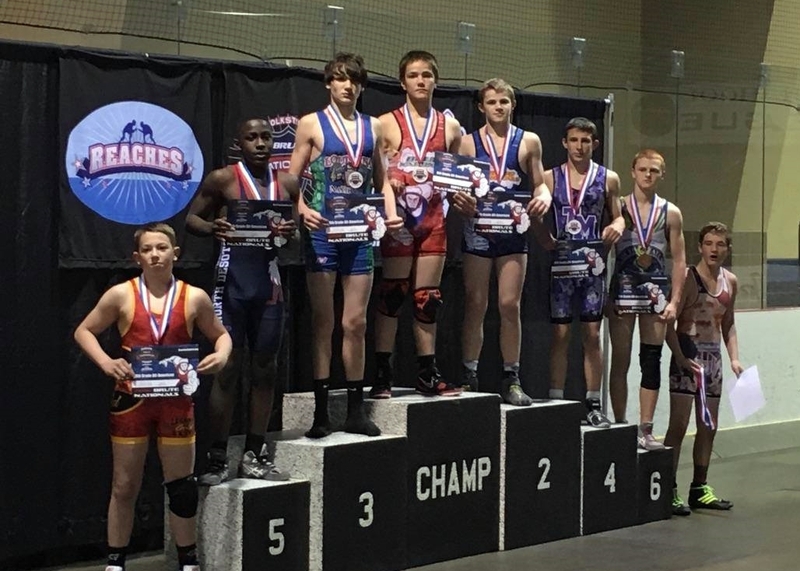 Three other Louisiana wrestlers came home with championships. 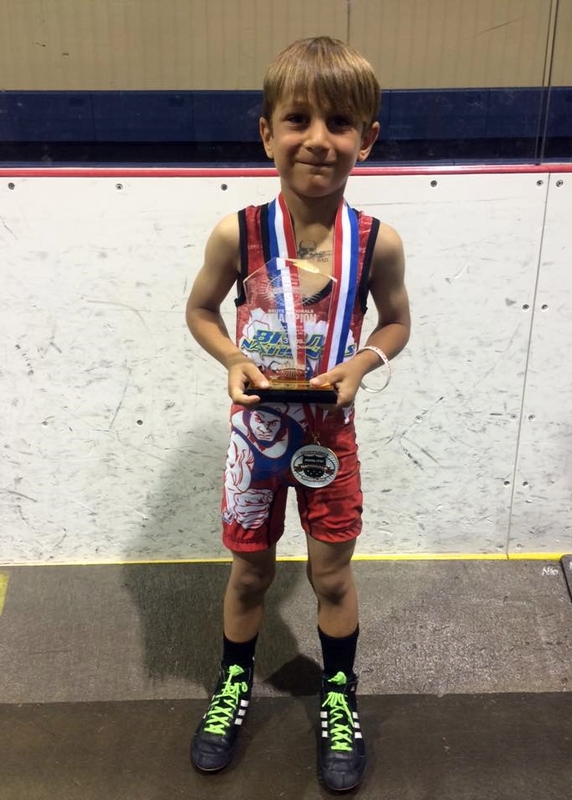 Second-grader Alex Rojas won at 52 lbs. with falls in 1:46 and 0:43, followed by a 5-0 semifinals win and a 4-1 finals victory. 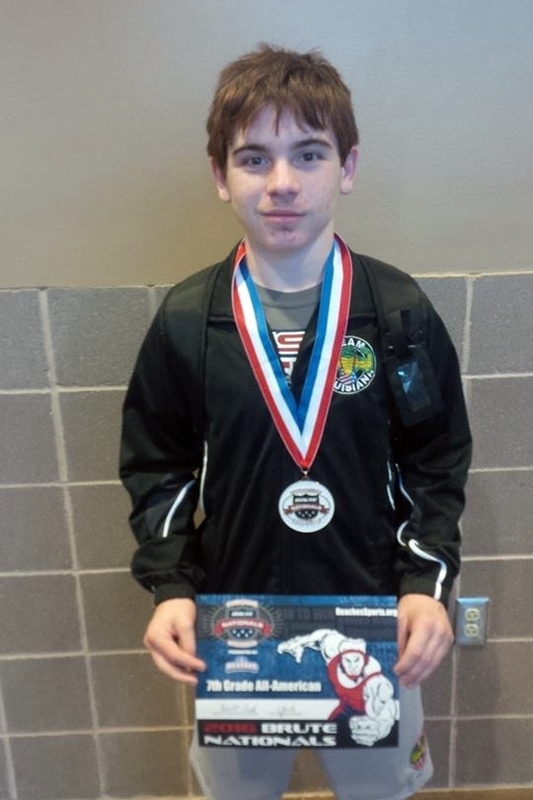 Seventh-grader Waggoner Allen Baylor used falls in 0:18 and 0:31 to win his round-robin 141 lbs. 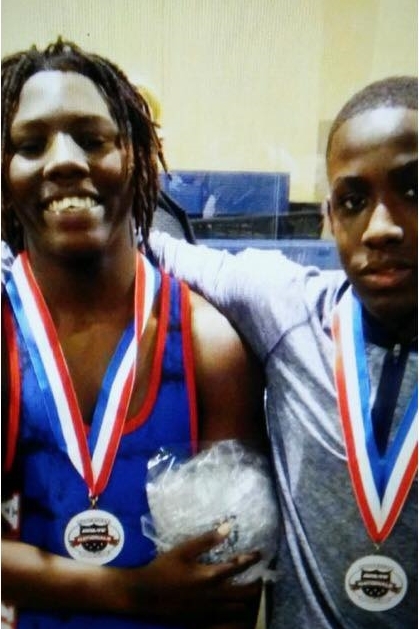 weight class, and eighth-grader Christopher Norris scored falls in 2:11, 1:52 and 2:03 to win the 215 lbs. round-robin event. 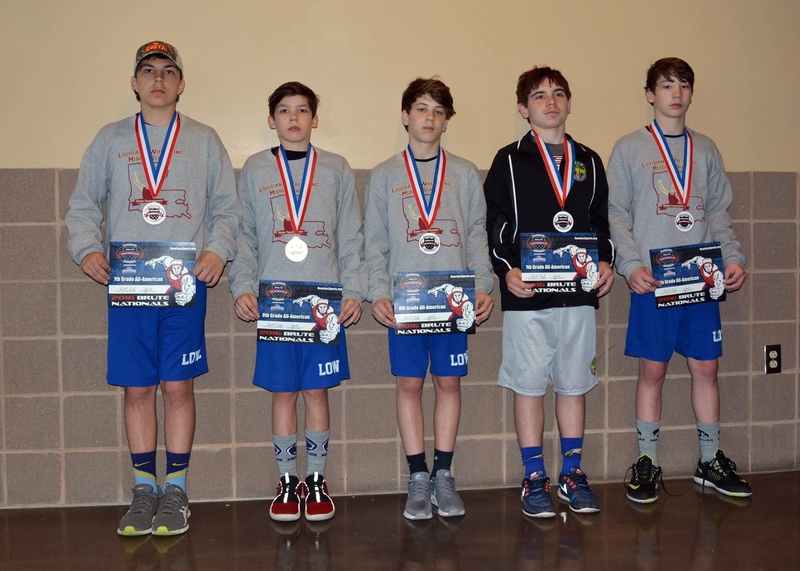 Maxx LaFleur, Ozias Gray and Jeremiah Brooks came out of the event as runners-up, while Audie Murphy, Patrick Murphy, Kaiser Robbins, Rayden Ingram and Trent Mahoney placed third. 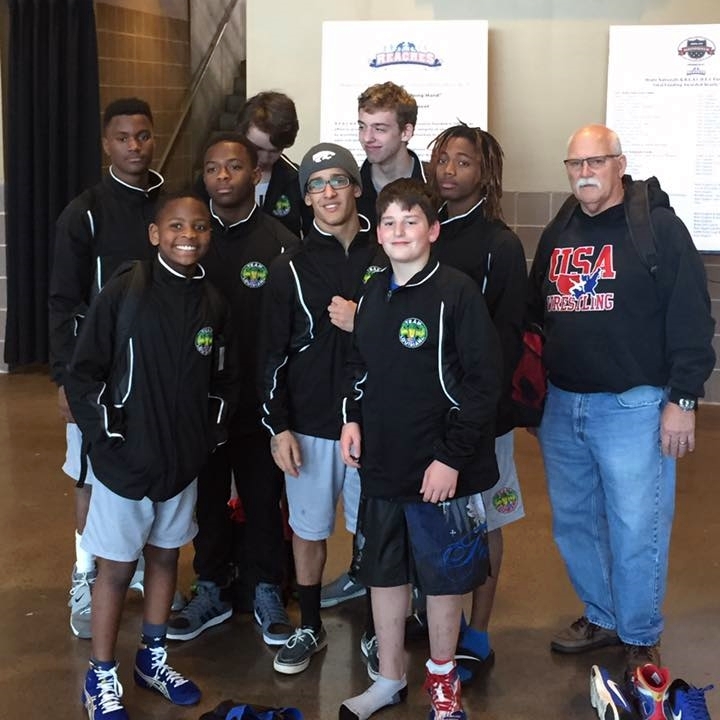 Eighteen others placed in the top-eight and received All-American status. As was said earlier, the experience is the important factor in events like this, hence 0-2 beats 0-0.